Dhaka 20 Mar, Abnews: Prime Minister Sheikh Hasina yesterday said Bangladesh's graduation to a developing country is a slap to those who forecast that Bangladesh will be a bottomless basket after independence. "A quarter during the Liberation War asked what the country will achieve after being independent and said it will be a bottomless basket. I think the Bangalees can give a slap on their face and they did it," she said while opening a month-long solo art exhibition of celebrated artist Shahabuddin Ahmed at Shilpakala Academy here yesterday afternoon. Shilpakala Academy and Ganges Art Gallery, Kolkata (India) in association with the Bangladesh Ministry of Cultural Affairs have organised the exhibition titled "Shanti" (peace) at Gallery No. 2 of National Art Gallery of the Academy. Cultural Affairs Secretary Ibrahim Hossain Khan presided over the function, while independence award-winning artist Shahabuddin Ahmed, Academy Director General Liakat Ali Lucky and Director of the Ganges Art Gallery Ms Smita Bajoria spoke. At the function, the premier unveiled the cover of a book "Amar Muktijuddha", written by Shahabuddin Ahmed. The prime minister said Bangladesh has achieved worldwide recognition as it graduated to a developing country from the LDC group. "We've been able to stand keeping our head high as we followed the footsteps of Father of the Nation Bangabandhu Sheikh Mujibur Rahman," she said. Sheikh Hasina said Bangabandhu earned Bangladesh's recognition as a least developed country and Bangladesh didn't get any honour for 38 years. She said now Bangladesh got the UN recognition as a developing country. "We've learned to stand on our own feet economically ...we're not dependent on anybody. We've proved that we can develop the country ourselves," she said. The prime minister said her government made tireless efforts to bring to the fore the true history of the liberation war as some generations were deprived of it. "A distorted history was projected before them and our aim was to highlight the true history so that we can get dignity as a victorious nation," she said. Sheikh Hasina said a nation is enlightened when it's enriched with education, art and culture. Quoting Bangabandhu, she also said social, cultural and economic freedom are involved with the political freedom. "We witnessed after 1975 how the country's culture was destroyed. But we always made efforts to uphold our art, culture and heritage," she said. The prime minister said her government wants Bangladesh to move forward upholding the spirit of the liberation war and stand on the world stage keeping its head high. "We've taken every step to achieve this goal," she said. In this regard, she said all will have to remain alert so this spirit is not lost again. 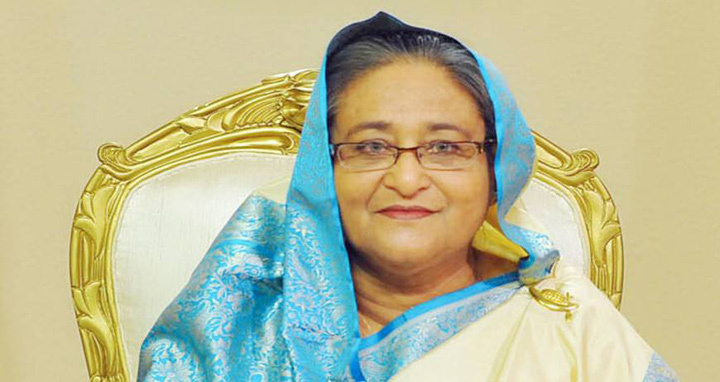 "We have taken the country to a certain place through our efforts and all have to keep a vigil against any move to make Bangladesh a country of Razakar and Al Badr," she said. Sheikh Hasina said Bangladesh lost its way after the assassination of Bangabandhu in 1975 as distorted history gives birth to distorted character of the people. "And this happened at that time," she said. The prime minister said Bangabandhu had struggled throughout his life and spent days in the dark cell of the jail year after year. But he never bowed to anybody. Sheikh Hasina mentioned that when Bangabandhu was released from jail through a movement he said: "You freed me in exchange for blood and I will repay this debt with blood." "He did it by shedding blood," the PM said. The prime minister said the people of the country will have to repay his debt. "His dream will be materialized if we could bring smiles on the faces of the poor and distressed people and we've to do that," she said. Sheikh Hasina said the hunger of a person is not met only with food, and for this the hunger of the mind will have to be met. This hunger can be met through art, culture and literature, she said. In this connection, the prime minister said Bangabandhu had love and respect for the poets, artists, writers and litterateurs. "They were free to come to our house," she said. Mentioning that the politicians and cultural activists are complementary to each other, she said achievements are not possible if poets, writers, artists don't participate in any programme. Describing Shahabuddin as a great asset for Bangladesh, the premier said the most important thing is that he is a valiant freedom fighter. "He is a freedom fighter, he portrays it in his works and we feel proud of it," she said. "We want the touch of his brush to continue to sing the glorious history of our liberation war." The exhibition, featuring over 30 recent artworks by the maestro, include portraits of the Father of the Nation Bangabandhu Sheikh Mujibur Rahman, Rabindranath Tagore, Mahatma Gandhi together with works of Shahabuddin's famous series like "Freedom Fighter", "Birangona", "Speed" and "Victory".